Join the thousands of people who have who now breathe more freely and are energized and enlivened by taking advantage of the brain's remarkable ability to change for the better. Breathe more freely and become energized and enlivened with NeuroMovement® Healthy Breathing.Through the Anat Baniel Method® and NeuroMovement®, tap into the remarkable ability of your brain to create new patterns and possibilities and reach new levels of well-being and vitality in body and mind. With this program, you will learn different ways to breathe well. Your brain will learn to organize your movements so that your breathing will happen spontaneously and fully. Breathing fully and easily will calm you down, give you the energy you need to move, and help you think more clearly and creatively. You will gain the freedom to change how you breathe as you change what you do, what you feel, and what you think; as you increase your level of exertion; and as your emotional state shifts. 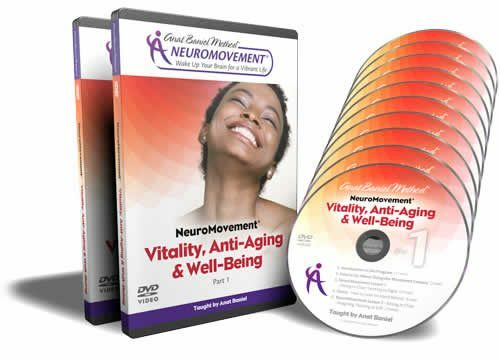 For best results, we recommend that you complete the first three programs of our 4-part series NeuroMovement® Whole Brain & Body Fitness video programs before doing this one. 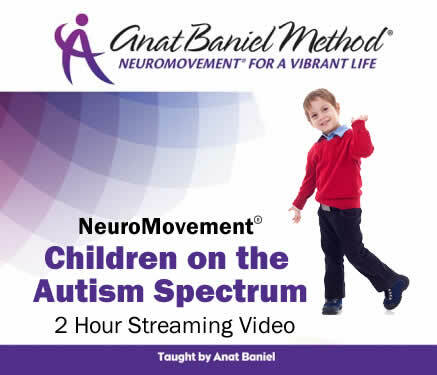 NeuroMovement® Healthy Breathing is number 4 in this series.